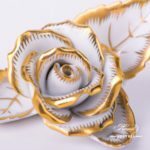 Rose on Leaf as a Menu Holder – Gold CD-OR pattern. Herend fine china – Gold CD-OR – Gold design. This Rose on Leaf available in many different colours. 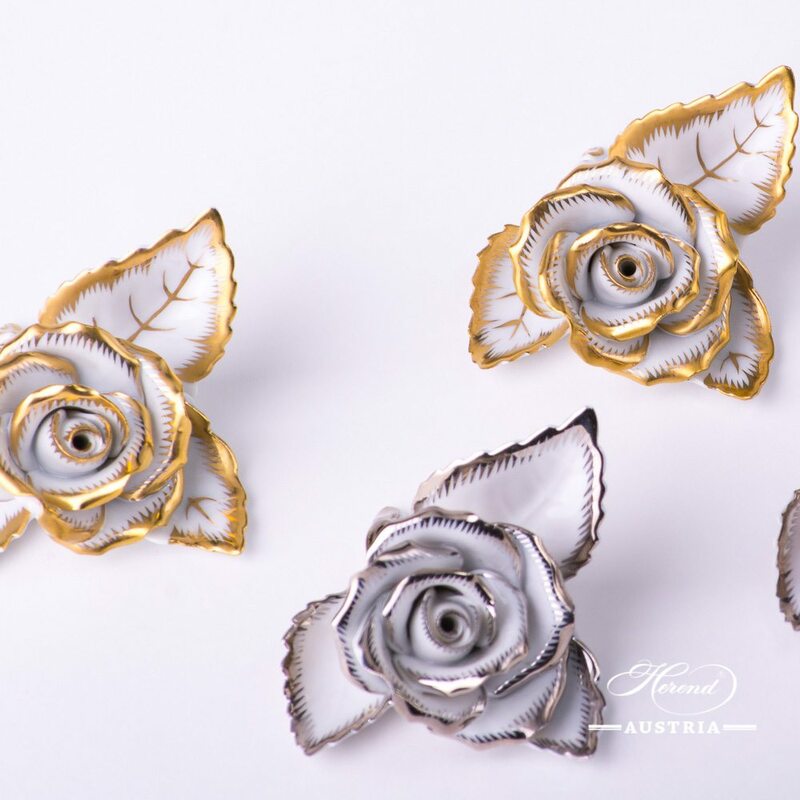 The Rose on Leaf is an excellent gift for every Herend Collectors! 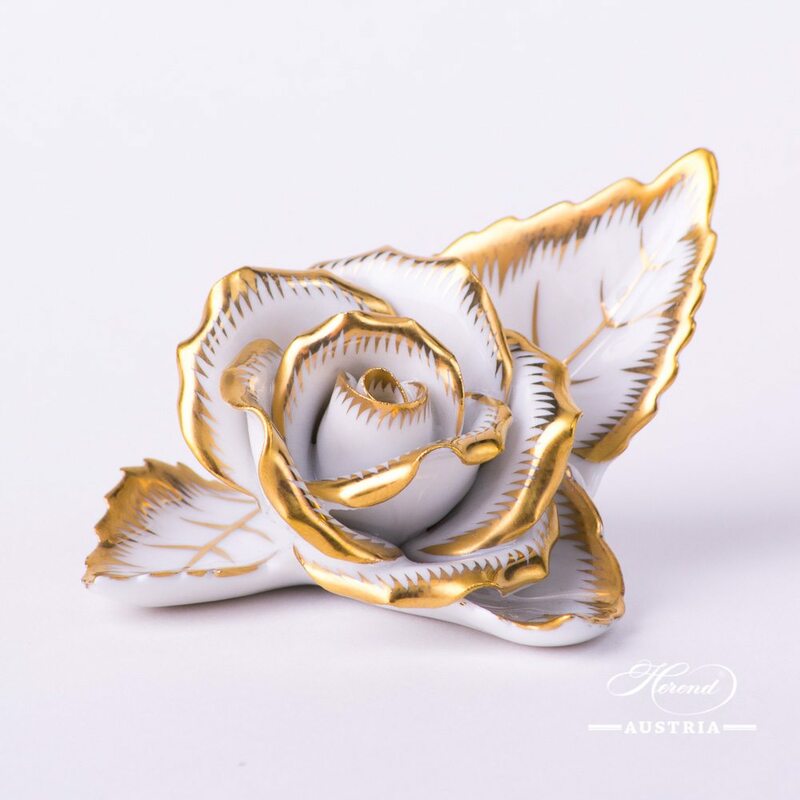 Gold – CD-OR pattern – Herend Rose on Leaf as a Menu Holder. 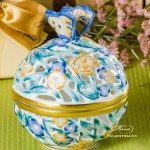 Herend fine china – Gold – CD-OR – Gold design. Coffee Pot with Twisted Knob - Special Fish Scale w. Platinum pattern. Herend fine china - 20613-0-06 VH3COL4-PT – Lilac, Light Green w. Platinum design. One of the modern Herend designs.Espresso Tea, Coffee, Espresso Sets and Dinner Services are available. Coffee / Espresso Set for 2 Persons - Medieval Miniatures HHVT pattern. Herend fine china - HHVT – Multicolor design. Even our Instagram followers loved this set extraordinary. Can be upgraded to larger Medieval Miniatures Coffee Set. Creamer / Milk Jug - Gold Fish Scale on Black Background pattern. Herend fine china - 20644-0-00 VHN-OR Black and Gold design. One of the modern Herend designs. Tea, Coffee, Espresso Sets and Dinner Services are available. Sugar Basin with Rose Knob - Herend Imola IA pattern. Herend fine china - 6012-0-09 IA - Imola design. Tea, Coffee, Espresso Sets and Dinner Services are available. Tea / Coffee Cup and Saucer for 2 Persons - Sevres Roses SPROG Herend fine china - 20730-0-00 SPROG design in Herend Gift Box. Universal Cup can be used for drinking Tea or Coffee. 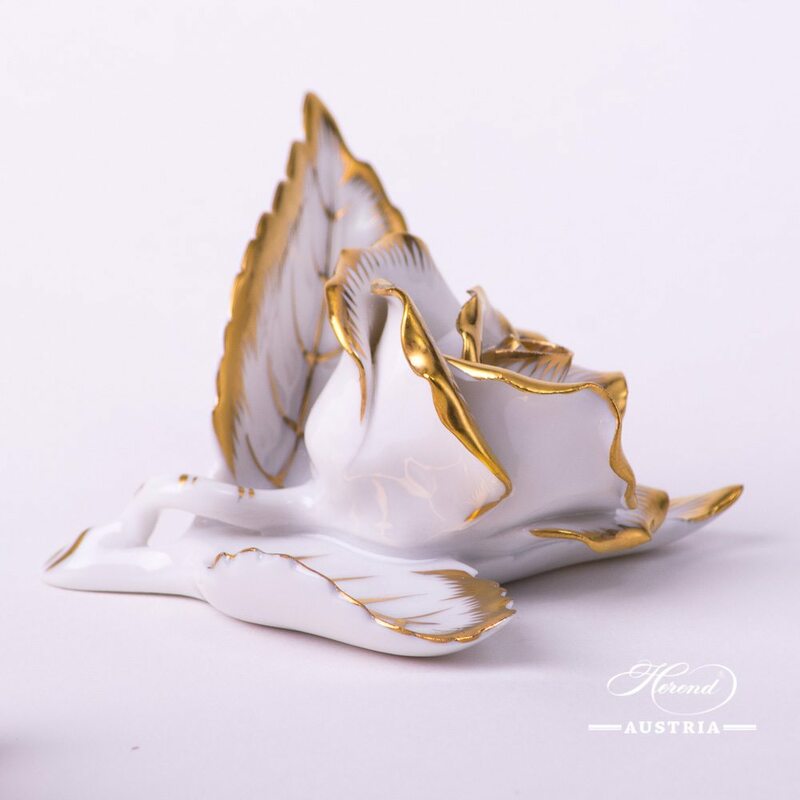 What is perhaps Herend’s most classical design. Tea / Coffee Cup and Saucer for 2 Persons in Gift Box - Royal Garden Turquoise Butterfly EVICTP2 pattern. Herend fine china - Turquoise Butterfly design. Email Victoria EVICT design is a modern Herend pattern. Available in Green EVICT1 or Turquoise EVICT2 versions. Openwork Basket with Handle - Bunch of Tulip pattern. Herend fine china - 7470-0-00 BT - Multicolor design. 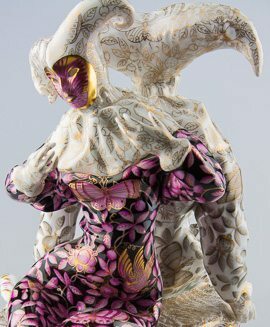 This pattern is painted with the famous Bunch of Tulip flowers. 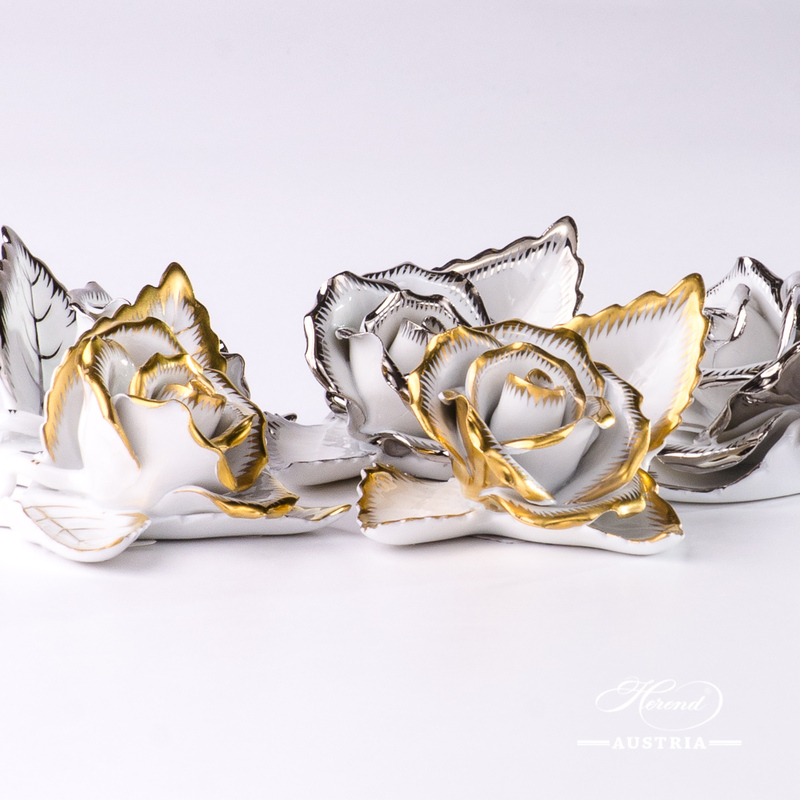 Give aesthetics as a gift! Leaf Dish w. Butterfly - Royal Garden Green Flower and Butterfly EVICT1 pattern. Herend fine china – Green design. Available in Green EVICT1 or Turquoise EVICT2 versions.